The Dengie Hundred Amateur Radio Society (DHARS), which is based in Essex, is an amateur radio club, made up from an enthusiastic group who all have an interest in amateur radio - sometimes called ham radio. 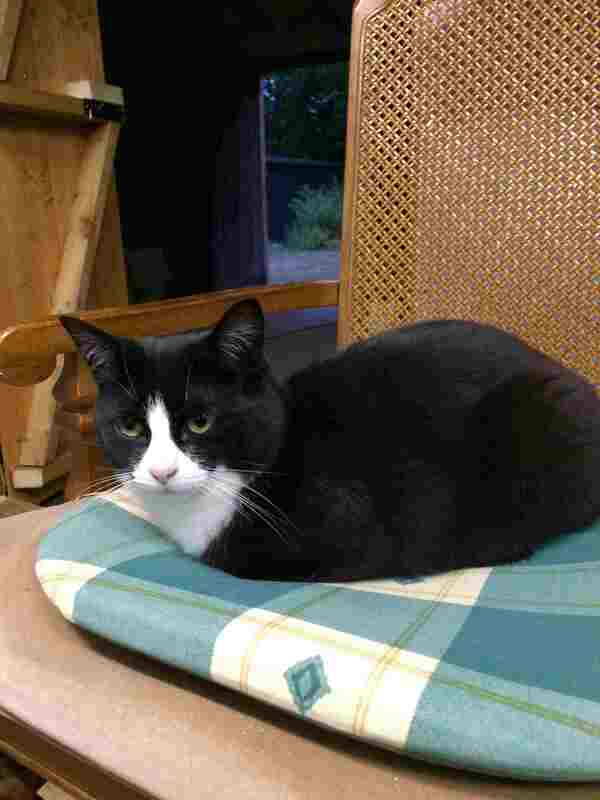 The cat shown in the photograph is not officially a member but is a frequent visitor to the club's shack. The club meets at its shack in Althorne approximately ten times each month, although few members can attend every meeting. Every Monday evening. The 2nd and 4th are the official club nights, but around six people meet every other Monday too. Every Thursday during the day. People arrive around 10:00 and usually leave at approximately 14:00. Monday meetings - held in the evening, so that most members can attend. Thursday meetings - held during the day, so mainly suitable for members who are retired. The club primarily serves the Dengie peninsula part of Essex, which is formed by the River Crouch, the River Blackwater and the North Sea. So the club is particularly close to those living in the following Essex villages, not all of which are in the Dengie. Different members of the club have very different interests, with members being active on frequencies from 1.8 MHz (160 m) to 10 GHz (3 cm), and most bands in between these. We don't currently have members operating below the 160 m band, but we might well do this one day. There is considerable interest in digital modes of communication, as well as interests in CW, satellites, contests and moonbounce. Several members enjoy constructing items, either from kits, published designs, or items they have designed themselves. Antenna construction is particularly prevalent. We welcome new members who have other interests. 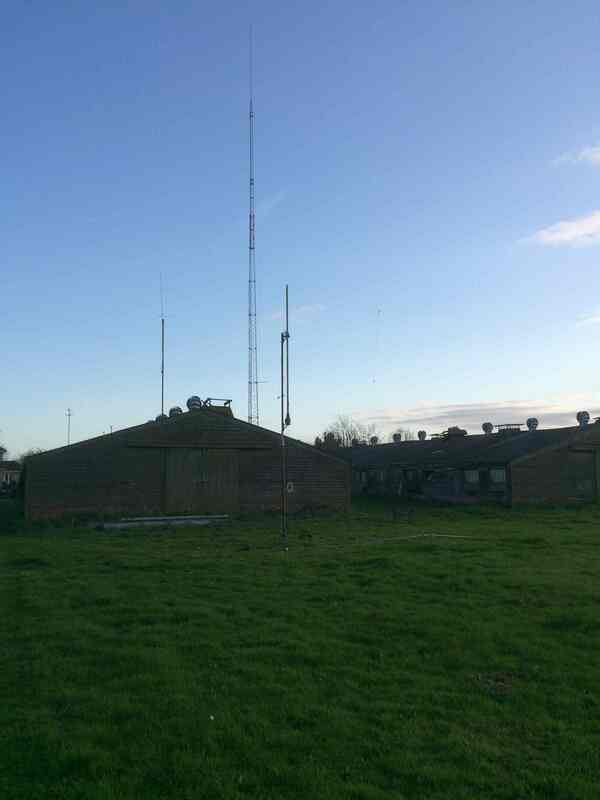 Unlike almost every other amateur club in England, we are very fortunate in being able to erect permanent antennas at our club station. This is something no other club local to us can offer. All other local clubs hire space for an evening in a property they don't have exclusive access to, but that is not so with our club. We have a purpose built shack, on the grounds of one of our members, which gives us 24/7 access. With our antennas more than 45 m ASL, the site has good takeoff, as well as 3 masts, and a 160 m vertical antenna! We have test equipment which members can use, including a 600 MHz antenna analyzer, 1 GHz signal generator, 150 MHz 4-channel oscilloscope, LCR meter and of course more common items like multimeters. If you compare our facilities to other local clubs, you can see we have much more to offer! Also, one member has access to more exotic test equipment including vector network analyzers to 20 GHz, a frequency counter to 20 GHz, spectrum analyzer to 22 GHz, and other profeessional equipment. Are you considering joining us? Prospective members are asked to contact the club's Secretary or Chairman, whose details can be found on our contact page. You will be invited to attend as a guest a few times (no charge for this), and then decide whether you wish to apply for membership.